As the title suggests, I've had a chance to photograph the Prussians in my 19th Century figure collection and add them to the Vis Imperica army galleries. Ah...the Prussians. 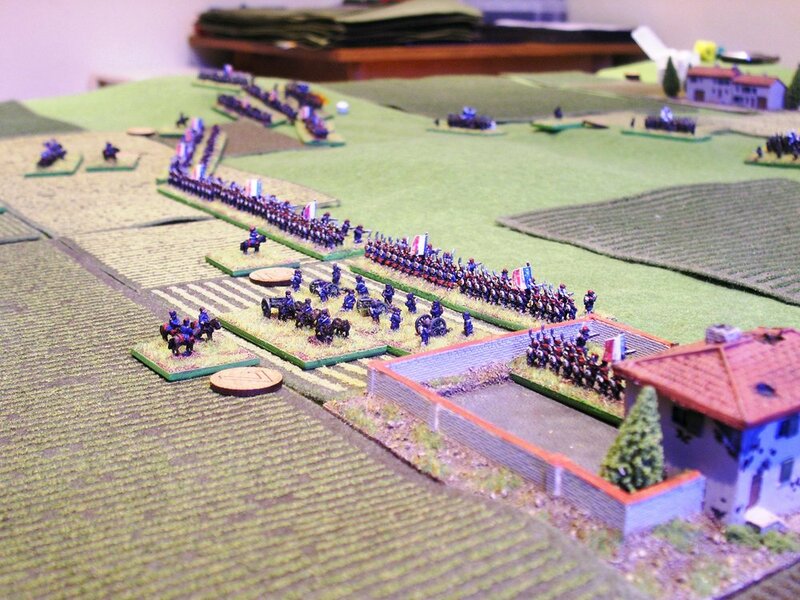 Amazing troops in the system we used: big units, good weapons, excellent artillery, good troops: very hard to beat. So hard to beat, in fact, that beating them often became the be all and end all of any game that they featured in. They were the favoured army of one particular player, who was always keen to extol their virtues, so the rest of us were always equally determined to thrash the pants off them, and would do anything we could to do so. Click on the picture below to see the whole gallery of much-maligned figures who probably had no idea why everyone was always out to get them!